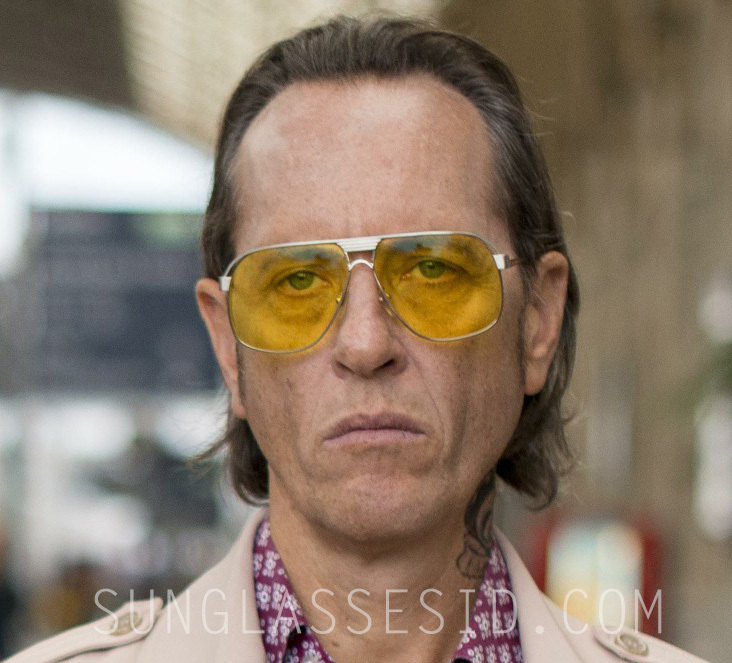 Richard E. Grant wearing "tinted Hunter S. Thompson-style glasses"
Richard E. Grant wears a pair of vintage frames with yellow tinted glasses in the 2013 movie Dom Hemingway. 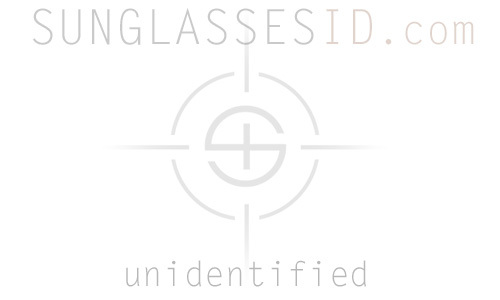 The exact model and brand of these glasses is not know yet, if you can ID these glasses, contact us here. In a GQ interview, actor Richard E. Grant says about his outift: "Julian Day, the costume designer, and Richard Shepard, the writer/director, were very specific on wanting these tinted Hunter S. Thompson-style glasses. Once those were on my face - and I have a very long head - they said, "Don't cut your hair", it's a mullet hairdo from the Seventies." 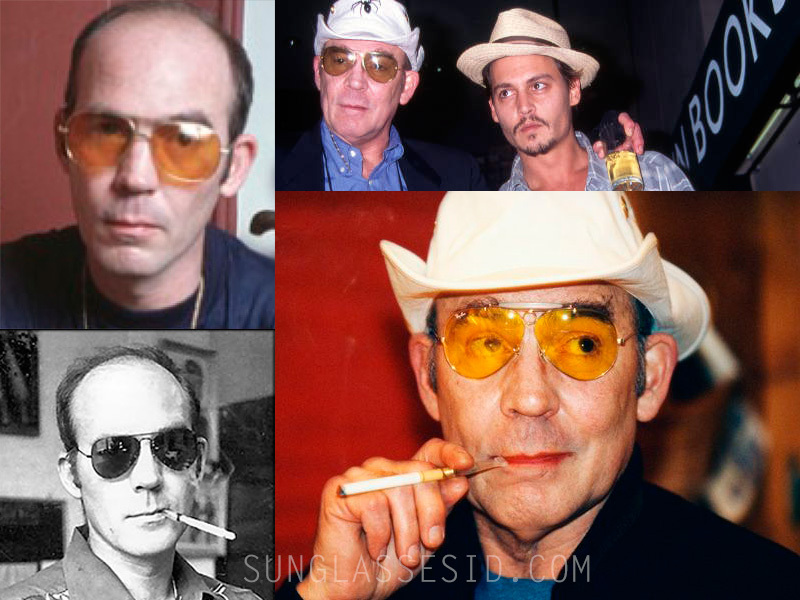 With Hunter S. Thompson-style glasses he means the large glasses worn by American journalist and author Hunter Stockton Thompson (July 18, 1937 – February 20, 2005) who is best known for his book "Fear And Loathing in Las Vegas". In the the movie based on the book, star Johnny Depp wears a similar pair of large sunglasses with yellow tinted glasses, also based on glasses worn by Thompson, read more about these Ray-Ban 3138 Shooter sunglasses here.